There are very few us out there who are not fond of the heavenly taste of chocolate. Women in particular, are known to adore it. The first thought crossing every romantic’s soul when pondering what to bring their other half is chocolate, often with flowers. You certainly can seldom go wrong with that. However, we do constantly seem to make a connection between love and romance with this specific sweet. Have you ever wondered why that is? There has always been a relationship between love and chocolate; the reasons behind it are indeed fascinating. From ancient cultures such as the Mayans and Aztecs, cocoa has always been highly regarded to a point of being seen as holy and only fit for royalty. They understood the benefits of chocolate well before we had today. Even in those ancient days, they had associated the two distinct topics of love and this plant. It was believed to create positive moods and act as an aphrodisiac. At that point, the ancient cultures did not consume chocolate in the sweet manner we now do. They preferred it in its raw form. It was not until the Spanish that cocoa has been sweetened to be become similar to what we now cherish. Today, scientists have indeed proved it to be a mood enhancer as it leads the body to release endorphins (feel-good hormones). In relation to love specifically, according to the Journal of Social and Personal Relationships, scientists can now prove that chocolate puts its devourer in a romantic mood, making them more likely to seek love. 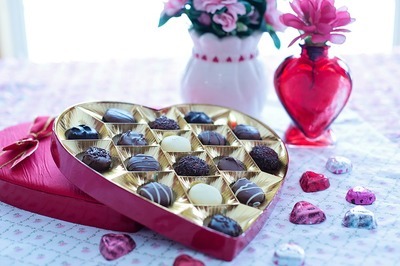 The research’s results indicate a connection in eating various sweets such as chocolate and the willingness to fall in love. This does shed some light as to why we associate love and chocolates. Accordingly, if you are planning on bringing your other half a treat, then this is certainly the one to go for, guaranteed to create a date filled with romance. What is your go-to movie when you're feeling down? Do you like to try new dishes when eating out or do you stick to familiars?